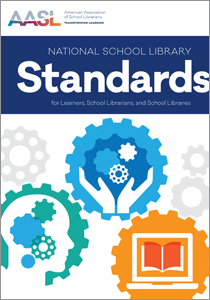 New National School Library Standards have been released! Learn more at your Regional Workshop and SCASL Conference. Go to http://standards.aasl.org/ for resources and more information. You may order your copy straight from ALA at http://standards.aasl.org/shop/. Doing this may cost you $199. Order through SCASL to pay only $99! For your convenience, we are offering 2 different ways to order your copy of the new National Library Standards Book for the discounted rate of $99 (+ shipping). *Orders will be shipped at the end of December, March, June, and September. Use this method if you prefer to have your copy mailed to you. Why do I have to pay to access the library standards? In the past, we had to purchase 3 books to get all of our library standards, Empowering Learners, Standards in Action, and Standards for the 21st Century Learner. This book combines all three of those publications and includes additional resources. Are any available for free online? With our previous standards, the Standards for the 21st Century Learner were available online for free. The new version of these standards is available for free at http://standards.aasl.org/wp-content/uploads/2017/11/AASL-Standards-Framework-for-Learners-pamphlet.pdf . Where can I find resources about the new standards? http://standards.aasl.org/ has resources for professional development, materials for your use, and discussion forums. Training will be offered at each of the Regional Workshops and at our SCASL conference in March. AASL is providing multiple webinars; find information at http://standards.aasl.org/pd/. You can also see standards-related events across the country at http://standards.aasl.org/calendar/. or Kristie Haltiwanger, [email protected].